Lightroom is one of the most popular workflow applications on the market. The combination of image organization and a non-destructive editing module is a great alternative for many to a traditional editing environment like Photoshop. 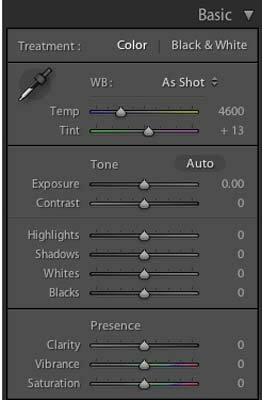 With the introduction of Lightroom 4, Adobe has added several useful new tools, and made great improvements in other areas. 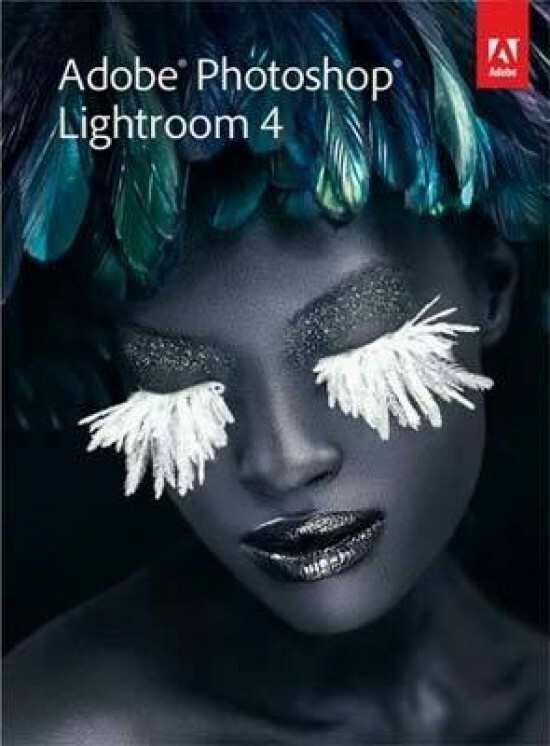 In this review, I'll take a look at the key new features in Lightroom 4. One of the biggest changes is the reduction in price. Lightroom 4 now has a list price of $149 / £103.88, down from the previous $299. Upgrades are now $79 / £59.09 from previous versions. While there isn't anything immediately new in the Library module, if you shoot video you'll notice that options for video have been greatly expanded. Lightroom supports more formats including AVCHD, and you can now playback video while using the Loupe View (aka the Develop module). But, the additions don't stop there - you can also set the poster frame for the thumbnail or save a frame out as a JPEG image. Exporting video gives you the option to export as original, H.264, or DPX, as well as setting quality levels. If you're wondering why you'd export video from Lightroom, you're in for a treat. Version 4 now supports basic editing of video clips - setting the in and out points, adjustments to white balance, exposure, contrast, converting to monochrome, and even split toning. Organizationally, Lightroom has improved the functionality of features like Stacks, which can now be used in Collections as well as folders, Picks are now library wide, so if you move your images to a collection, the flags are kept. Finally, you can now drag multiple folders in the Folders panel - earlier versions of Lightroom only allowed you to move one folder at a time. The biggest set of changes are found in the Develop module where Adobe has introduced a whole new set of controls, and made the default settings of some of the existing controls more logical. If you're upgrading from Lightroom 3 and viewing an edited image, you won't notice the changes at first. New images will show you the Process Version 2012 controls. You can take full advantage of the new controls with your older images, but you'll need to update them to Process Version 2012 first. This can be done either in the Calibration panel, or via Settings > Process. With the new Process 2012 settings, you'll see a couple of new controls in the Basic panel. Gone are Fill Light and Recovery, and in their place are Shadows, Highlights, Whites and Blacks. These adjustments give you more control than was previously possible. After setting the overall Exposure, you'll use the Shadows and Highlights to recover detail in these areas. Finally, use Whites and Blacks control to the extreme highlights and shadows, recovering clipping that might occur. The Clarity control has been improved over previous versions as well, with positive adjustments not introducing the halos commonly seen in Lightroom 3. Along with all of the new controls, the Adjustment Brushes have been greatly expanded when using the new Process 2012. You can now paint in Exposure, Highlights, Shadows, Temp, Tint, Luminance Noise, and Moiré. Anyone that has shot in a mixed lighting situation will appreciate the ability to selectively adjust white balance in an image. This one is brand new to Lightroom 4. Rather than just have GPS metadata fields, or require the use of a third party plug-in, the Maps module links to Google Maps. 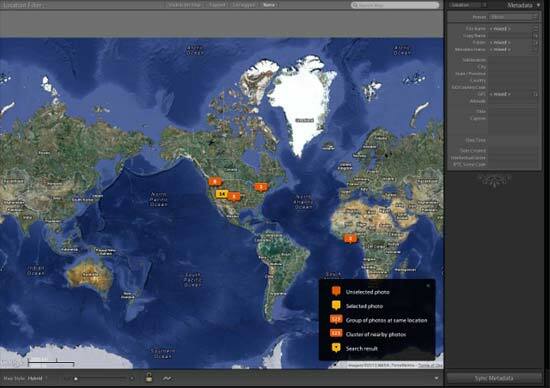 If your images contain GPS information, it will automatically be added to the map. If you use a handheld device, you can import GPX tracklogs to sync your images. And, if you don't have any of these, you're not left out - you can manually add a location by entering it directly, and save locations for future use.